2013 has been a great year for markets, especially the mid cap area we focus on. The best thing about markets has been that it has focused on quality and rewarded companies with good balance sheet, business model and corporate governance. Several stocks which we discussed earlier like Astral Poly, Ajanta Pharma, Atul Auto, Mayur Uniquoters, Poly Medicure etc underwent multiple re-ratings and delivered multi-bagger returns. While at the same time cos with poor track records and corporate governance standards are just languishing and long term returns have been very poor. This will go a long way in encouraging investors, companies etc to seek something unique and establish high governance standards. 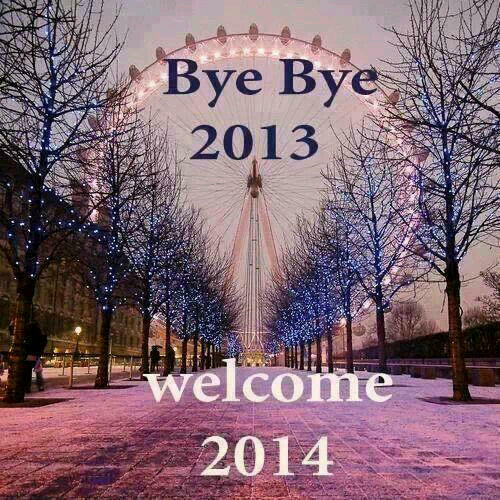 We have great hopes for 2014. Being the big election year, it is heartening to see a big political change happening. People are demanding better governance here too and these things will hopefully make India a better country and speed up the development and prosperity in years to come. Another positive thing happening in our market is the dilution of Periodic Call Auction System(PCAS) introduced earlier which had affected more than 2200 companies and trading in them had become very tough which had impacted the small investors and sentiment in a big way. As per the new rules, most of the stocks will come out of this rule. Over last few months we had been working on a basket of companies trading at very attractive valuations but affected due to this rule, we expect them to do well. 1. APM Industry: Though the co is present in the un-exciting textile industry however the nos of last 4-5 years are worth taking a look. The sales have almost doubled from 160 Cr in 2008 to 290 Cr in 2013 while the margins have improved every year from just 5.5% then to 13.50% in 2013 and hence the net profits have increased from less than 1 Cr to 22 Cr in 2013. The most interesting part is the balance sheet – unlike other textile companies, the co has used the earnings to repay debt and has become debt free. Plus the dividends have been increased every year and the stock offers an attractive dividend yield of 6% at CMP of 27. PE ratio is just 2.5 and stock is trading below BV. Risk – as its a very small company, its tough to access the reason behind the change. If the same is due to cyclicality in end product rather than actual management efforts then it may be a value trap. 2. Muthoot Capital: Muthoot Capital is a part of the famous Muthoot group but they are not into gold loan financing as generally perceived. They are a NBFC with focus on lending to two wheelers, three wheelers and light commercial vehicles sector. The company has been growing aggressively at a CAGR of 55% over last 5 years. They do target to maintain high growth rates going forward. The valuations seem attractive as the stock is trading at 4.5 PE, less than 1 times BV and providing a dividend yield of 5%. 3. Kitex Garments: This company is part of the reputed Anna group of Kerala. Kitex manufactures infant garments and supplies to one of the biggest global retailers like Toys R Us, Gerber, Wal-Mart, Jockey etc. The company is known for its superior quality, facilities and efficient production management. The company has very good financial ratios but the company didn’t grow much over last couple of years due to political problems and lack of approvals for expansion. It seems the problems are over now. If the company is going ahead with the expansions planned earlier, the company should do well. Apart from these, we are studying Selan Exploration. The company has rich oil fields with high proven reserves. The company has a very strong balance sheet with clean cash flows and surplus cash on balance sheet. The stock trades at about 9-10 times the annual free cash flows. The concern has been that due to lack of regulatory approvals there hasn’t been any growth over last few years. As the sector has started getting approvals, finally the ramp up may happen and the company may do well in coming years. Wish all our readers a Very Happy New Year! 1) They don’t have their own branch offices. They operate from the branch offices of an unlisted company from the same group (Muthoot Fincorp). Is it a matter of concern ? How market will perceive it ? 2) Bottomline is stagnant for the last few quarters, mainly due to higher a)Employee cost, b)admin&selling expenses and c)interest which are increasing at a higher rate than topline. What are the chances of a better NPM going forward ? 1. I don’t think it would be a major issue. The co is paying rent to the group co for the use of offices. If you have more details on it otherwise, plz share. 2. Yes, the bottomline is stagnant due to higher expenses and rise in interest cost. I think this adjustment was due and going forward we should see reasonable growth in bottomline too. NPM are already quite good….don’t think we may see an expansion on the same. My thought process on this is that the co is already delviering a very good growth and if the itended growth of 25-30% is to continue then I find current valuations attractive. Wish you a happy new year. You are a great source of inspiration and information to retail investors. Wish you a very happy new year Ayush & Pratyush. Do you guys track Astec Lifesciences. There is a firm by name Hridaynath Consultancy Pvt Ltd who owns a big chunk of Astec Lifescience and Alphageo. .
Bharat Jayantilal Patel also owns a big share in Astec Lifesciences & Alphageo. Yes, we are tracking the same and like the co….have some exposure here. Just saw this blogpost. Did not know you were interested in Selan as well. Bought some and still buying. On Selan 🙂 Though we need to have more clarity on their plans and status of approvals to have higher allocation. On Muthoot Capital, I think one of the biggest comfort is the group itself…the group is very well respected and highly known for its integrity. The way they have scaled up the two wheeler loan business is remarkable. Lets see how things pan out. Let me know if you have any specific queries. I am trying to understand the cause of the variation between market price and fair value. Muthoot Finance one could attribute to all the noise around gold downtrend and the RBI actions taken. What can one attribute to Muthoot Capital? One reason could be that the profits have been flat/marginally down over last 6-9 months and hence no charm. Happy New Multibagger Year Ayush Sir !! Ayush, are you tracking Caplin Point ? From the performance chart, it seems you have exited. Is it not active in a product line similar to Ajanta? Thanks for the valuable information on the picks. Kindly suggest if Kitex Garments can be bought diretly or some more analysis is expected. Kitex has already moved up quite a lot in a short period. I think it would be better to wait for the Q3 results and then re-evaluate. Happy New Year also from Side! What is your view on Kitex Garments at the face of not so spectacular Q3 Results!? The stock has already corrected close to 10% again! Wishing you, pratyush and family a happy new year.. Sorry, we are not tracking these cos closely. Ayush, I have read the discussions on valuepickr on Shilpa Medicare. Do you think, if one has a 2-3 year investment horizon, can it be a decent bet in comparision to Alembic pharma? Alembic is also a very good pharma co, they are are growing quickly in the internal generics markets and delivering much better than everyones expectations. We feel Shilpa is a good co and has good potential in coming years. Does the shutting of Mundra plant affect your investment rational with Oriental Carbon. As you know the court decision is out and have been temporarily told them to shut operations. Given that Mundra was so strategical for Mundra from the management q&a this comes as a setback for the co.
1. Quality power at Mundra with lower costs. 2. Mundra facility which as an SEZ gets MAT credit at 18% which can be off-set against the overall tax liability. As the share of production in Mundra facility goes up, effective tax rate will come down. 3.The total capex for 11000 MTPa was ~120 Cr. Production line will not be utilized. How do you see this piling up? Good time to accumulate at lower prices? The development is quite concerning as the co is getting almost 30% of current production from Mundra. Lets hope the things get resolved early and not get delayed due to the problems of our judicial system. Can you please study a stock called tyche industries in pharma sector and let me know ur views? it looks deeply undervalued to me currently. The company is GMP compliant and in process of getting approvals from USFDA and from valuations also look attractive with EPS for H1 at 4.8 and forward PE of 5-6 times…. Could you please evaluate Jubilant Industries ? Current CMP 54. The B/S looks healthy and the stock is trading much below BV. They are into Polymers and Poly Vinyl Acetate. They are the mkt. leaders on the base material used in chewing gums. Ayush any updates on Selan Exploration? The stock has already run up quickly and seems to have caught the attention. There are no material updates in particular. Any updates/opinions about Aurobindo Pharma, after sharp run up in last few months. It has nearly quadrupled in the last 6 months. Is it time to sell this script or buy more as the results are out and they are impressive. Aurobindo has been doing very well. We are not tracking it closely but looks interesting. Though the co is very good but we have exited recently. Need more clarity on growth prospects going forward. Avanti’s results are excellent and it looks good. We bought some yesterday. Regarding APM Industries, their Q3 earnings were not that great. I am planning to call their investor relations but have been unable to. Just wanted to ask if you have been in touch with anyone in the management for clarity/visibility into their growth prospects ? Looking at their clients, Sutlej, SKumars and Donear, Sutlej has done well but SKumars is struggling. Not much available otherwise on their website. Yes, the nos are below expectations but the price seems to more than discount the same. Muthoot Capital is a NBFC and it gives loans for 2 wheeler financing. Hence for such business its normal to have large borrowing….infact a debt equity ratio of 3.32 is pretty comfortable when compared to the industry. Kitex had other income of Rs.17 Crore (TTM). Is this a worrying factor? Can you help me to throw some light on this? The other income is about 13 Cr for FY14. One will need to look at the details of the same, probably once the annual report comes out. It will be concerning if its not repeatable….and we should deduct the same from net profit for calculating normal profits. How was the Kitex Garment AGM? ?…Would be highly obliged if u could update us on the same.. The AGM was good. The co is at a good stage and should do well for coming next 2-3 years.